Nitrous oxide, commonly called “laughing gas”, was accidentally discovered in the late 1700’s by chemist Joseph Priestley. For a while it was used for entertainment at parties. In 1844, a Connecticut dentist named Horace Wells used it for the first time for dental procedures. After having witnessed the effects of the gas at a party, he became the first person to use nitrous oxide as a dental anesthetic, as he had his assistants extract his own tooth while under the influence of the gas. 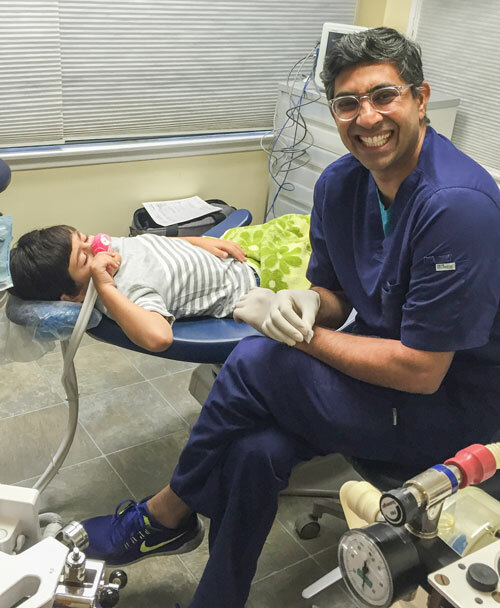 The laughing gas experience is a wonderful option for anxious children and adults, particularly when the treatment involved is very invasive, or the child is too young. Nitrous oxide is a gas which when inhaled, makes the person generally happier and more tolerant to discomfort. It is not a strong painkiller, however. The patient will still perceive some pain and discomfort in more invasive procedures, but it will be on a much lighter level, and it will be tolerated better. The gas, when administered according to guidelines, is very safe. While being inhaled, it will cause its sedative and calming effect, but when it is stopped, within a few minutes the patient will return to normal, as the gas is breathed out of the lungs. It is customary to have the patient breathe pure oxygen for a few more minutes after the procedure in order to ensure that the gas is fully displaced from the system. 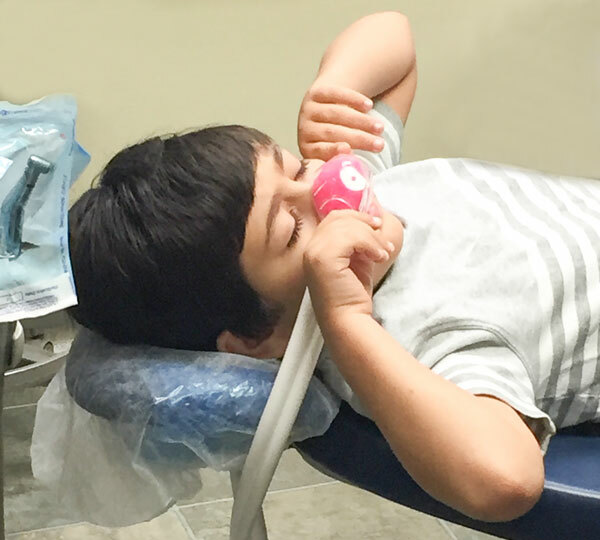 Both adults and children can enjoy the benefits of nitrous oxide. In children with a heavy gag reflex, it has made it possible to take necessary impressions which would have been otherwise impossible.